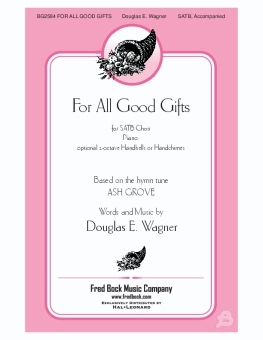 Based on the much-loved tune ASH GROVE, a creative and fresh text makes this appealing for times of thanksgiving. "From nature's rich palette, at sunrise and sunset, God's tapestry of wonder is brightly displayed." Optional 2-octave handbells or handchimes dress the piece perfectly.